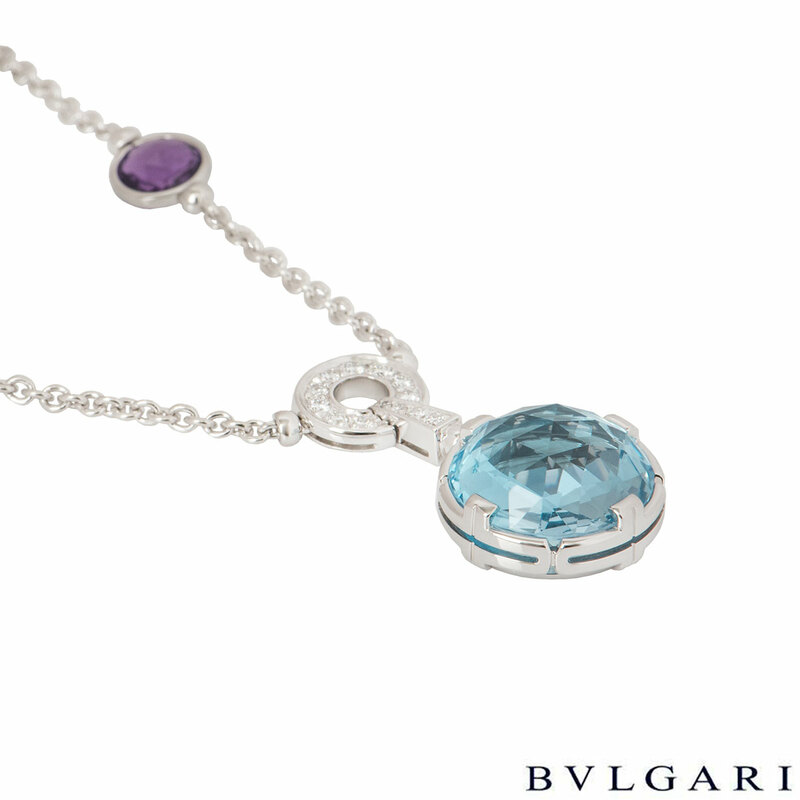 A stunning 18k white gold diamond and multi-gem necklace by Bvlgari from the Parentesi collection. 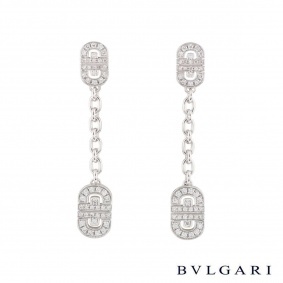 The necklace comprises of the round 3 amethyst, 2 topaz spaced out on the necklace with 2 'Bvlgari Bvlgari' hoops, 3 circular hoops pave set with round brilliant cut diamonds and a single round topaz suspended at the bottom. The large round blue topaz weighs 2.80 grams, the smaller two blue topaz weigh 0.40 grams each, the three round Amethysts weigh 0.45 grams each and the diamonds have a weight 0.68 ct. The necklace features a lobster clasp and has a maximum adjustable length of 20.50cm with a gross weight of 22.90 grams. 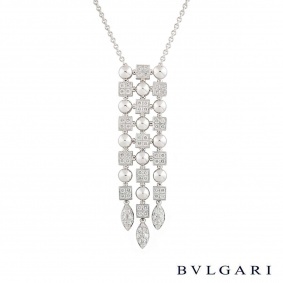 The necklace comes complete with the a Bvlgari presentation box and our own certificate of authenticity.